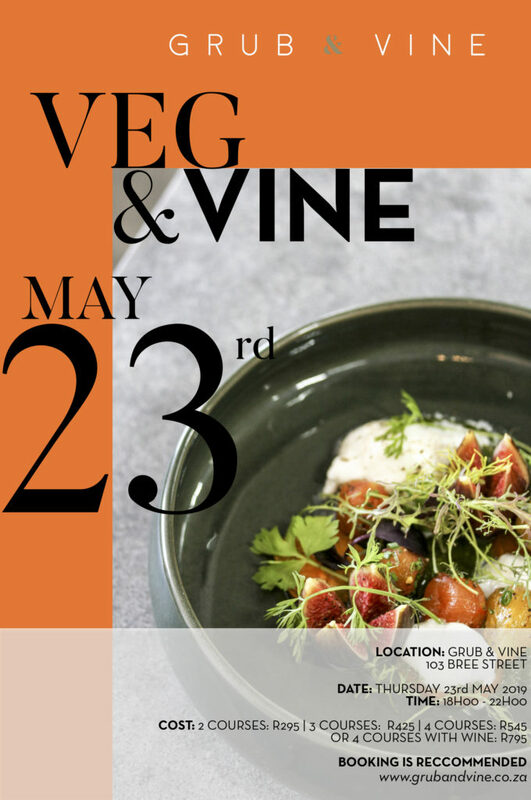 Every very month, Grub & Vine is offering diners an exclusively veggie menu. Whether you’re a vegetarian looking for a deliciously decadent dinner, or an omnivore simply wanting to explore plant-based fare, then our Veg & Vine menu it's a must! The Veg & Vine menu includes vegetarian and vegan options. Our usual Grub & Vine menu will also be on offer for the non-veggies! Bookings are recommended via our Dineplan Calendar.